Are you planning to visit Germany? Worried about the hotel prices? Relax! City-Living offers accommodation at a price that flats Frankfurt both business travellers and holidaymakers. Germany´s rental apartments are the best in Europe. They cater to your every need, including disabled access. You want to visit Frankfurt in particular. The city on the river Maine. Well, City-Living is quite popular in Frankfurt. Guests are like kings and are to be treated royally. That is City-Living´s motto. Bookings can be made directly on the Internet (www.apartment-2-rent.com). City-Living has furnished flats in Frankfurt, for people who stay for an unknown period in Frankfurt. Details of apartments can be found on our website. 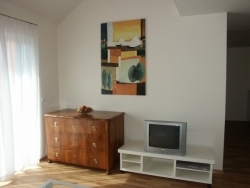 You are new in Frankfurt, temporarily residing in the hotel and looking for an apartment for an extended period. Then you have come to the right place, because we have established ourselves for years on the Frankfurt apartment market. We offer everything from modern studio apartments to luxurious 2-bedroom apartments. Our accommodations are fully equipped and ready for occupancy. City-Living in Frankfurt rents furnished apartments to business travellers from around the world. The offer includes 1 - 3 rooms - apartments that are located in different parts of the city of Nordend, Bornheim, West End and downtown. The team of City-Living is on their toes to give your personal, professional advice. Take another instance. Say you have accepted a new job quickly in the area of Bornheim? You live too far away to continue to use the old apartment. Time is short and you need a quick reference of a furnished apartment in the Bornheim distrcit. Here we are! City-Living is going to take care of your needs. It has come up with a nice residence that fits your budget and idea of luxury. The Bornheim residence is located on the Freiligrathstraße and therefore in a very popular residential location in Frankfurt. Our apartment building offers you furnished two-room apartments that are equipped with high-quality materials such as granite and parquet. Each apartment has an individual balcony or terrace, which are oriented towards the garden at the south/west. Large floor-high windows, built-in spots and the modern furniture provide you with a pleasant living comfort. This is supplemented by a fitted kitchen with dishwashing machine and microwave, washing machine, dryer and satellite equipment. The shopping- and strolling promenade Berger Straße is close by. Here, you will find numerous restaurants, bistros and street cafés. The popular market - Kleines Uhrtürmchen is open on Wednesdays and Saturdays. It is approximately four-minutes´ walk.